It’s the last day of the Flat season at Doncaster tomorrow and ITV are covering three races from Donny, along with five National Hunt races from Wincanton and Aintree. I’m excited for the winter scene because like a lot of people I make more profit over obstacles and I expect to get off to a great start tomorrow with Carl Nicholson’s ITV selections. So far this year Carl has racked up £4,737* profit at £25 stakes from his ITV selections and if you like to only bet on Saturday’s and the big festivals this is the perfect service for you. 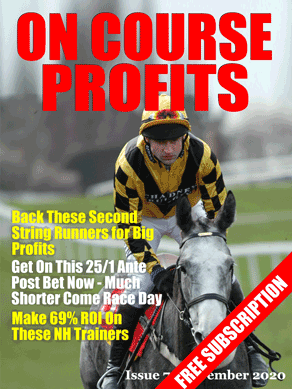 You can get all tomorrow’s selections for just a fiver. Thanks for all the winners. Much appreciated. Keep up the good and hard work.